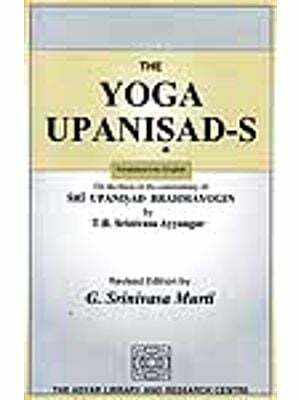 Like each of the 20 Yogopanisads, these three select Upanisads have elaborated on certain technique/s or issue/s of Yoga which are not easily available in any of the published Hatha literature. Contribution of Yogopanisads lie in their effort to make use of Hatha techniques to achieve the state of Absolute Oneness (Advaita). Advaita theory, which hails 'the non-dual state or Truth' to be the Supreme, does not view 'suffering' differently from 'duality'. For Freedom from suffering, it recommends Hatha practices as effective means. With this spirit Yogopanisads try to synthesize world-view of both the diverse philosophical systems of duality and non- duality. This is brilliantly displayed in these texts. Upanisads: The Supreme wisdom of highly illustrious Rsis and Munis of the ancient times as documented in the Vedas, Brahmanas and Aranyakas find philosophical and spiritual culmination in the Upanisadika literature. Upanisads, especially the ancient ones which are relatively précised in their content, have always inspired and stimulated the mind of eastern and western scholars equally for many centuries. - 'Those who aspire for liberation, decidedly become averse to sensual pleasure in present as well as future lives. They resort to wisdom and practice with all devotion. They attain Supreme Brahma'. - 'Upanisad means knowledge. It frees one from the miseries of life in the form of taking birth, decay and death etc. Also it establishes one in the highest good. A book that delivers such knowledge is also so called’. The word Upanisad primarily means the book of knowledge or philosophy. 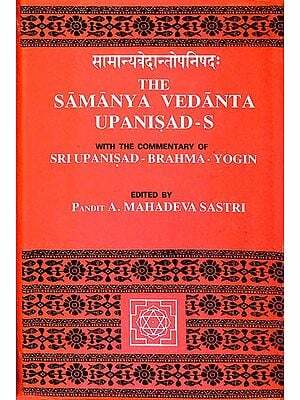 Upanisad stands for Vedanta which literally means end of the process of knowing. Upanisads are called rahasya that means mystery that contains secrets of life. One qualifies to have an access to this group of literature only under the guidance of a master. It also means the exposition of the knowledge of Reality and the scriptures by that name. Upanisad means to sit down at the feet of a spiritual master to listen to his words which offer secret knowledge given in this manner. It also means setting aside ignorance by revealing the knowledge of the Supreme Self. They mainly aim at exposition of the secret meaning of the Vedas. They are mainly regarded as the source books for Vedanta and sometimes also for Samkhya. The oldest Upanisads were written in prose order using a very archaic language. These earliest texts carry a mysterious but forceful expression on the mind of the reader. 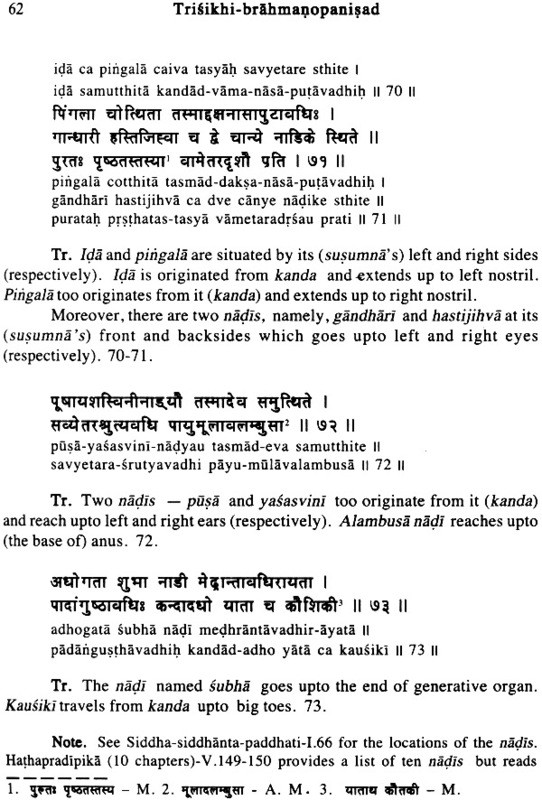 Many of the later Upanisads are in verses. Vaidika literature is divided in two major groups, namely, Mantra and Brahmana. 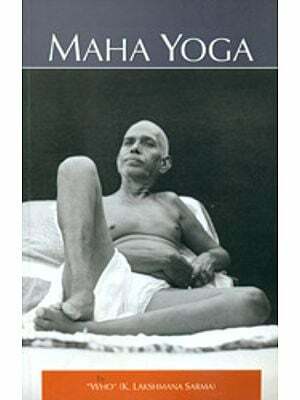 Mantras or Samhitas delineate the super-sensuous secrets of phenomenal creation which we could have never known except through this set of literature. The Brahmanas are explanatory books of the former. 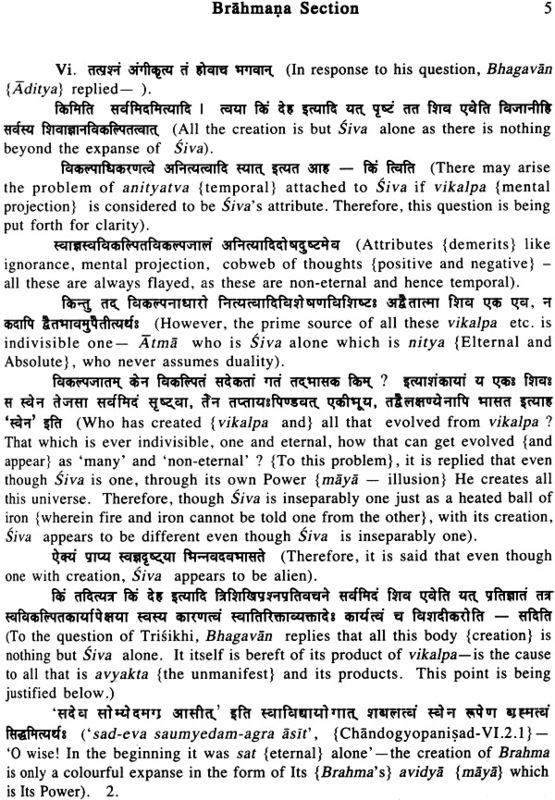 Therefore this later set of texts are subsidiary to the Samhitas. Both the group of literature are considered to be equally authoritative. Mantras are divided in three categories, namely, Rk, Yajus and Sama which are compiled in four books of Vedas. Some parts of the Brahmanas were supposed to be taught in the forests to special pupils. This is called Aranyaka. The Aupanisadika literature forms the last portion of this Aranyaka. Moreover, the Vedas are of two classes-karmakanda (ritualistic) and jnanakanda (delivering wisdom). Upanisads are of the later group. The Vedas are four, namely, Rk, Yajus, Sama and Atharva. The Yajurveda is made up of two parts- sukla and krsna. To these Vedas are ascribed several branches or sakhas number of which is as follows - Rgveda-21, Yajurveda-109, Samaveda-1000 and Atharvaveda-50 (According to some scholars there are 114 Upanisads belonging to this category). These sakhas are said to contain one Upanisad each. 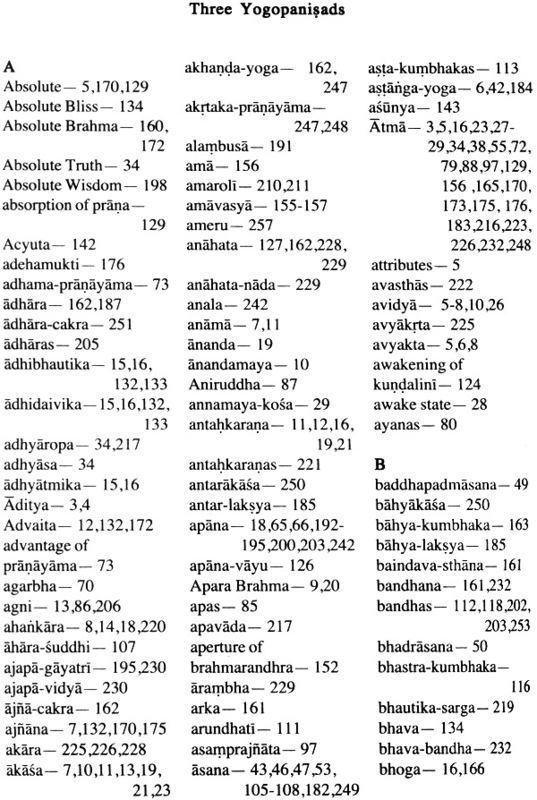 Total number of the Upanisads thus comes to 1180. But at present times all these are not available. We come across roughly 200 to 250 texts under the name of Upanisads (several of these Upanisads are doubled up due to division of purva and uttara- such as Ramottara and Ramapurva etc.). It is almost impossible to find a fixed number of these texts since new names are being added with search of manuscripts. Moreover, due to the vast expanse of the Vaidika literature and its various branches, long history and several cataclysmic attacks perpetrated upon the Vaidika literature, it is very difficult to ascertain the exact number and groups of the Aupanisadika literature. The only exception having been Isavasyopanisad which forms the last chapter of Sukla Yajurveda. 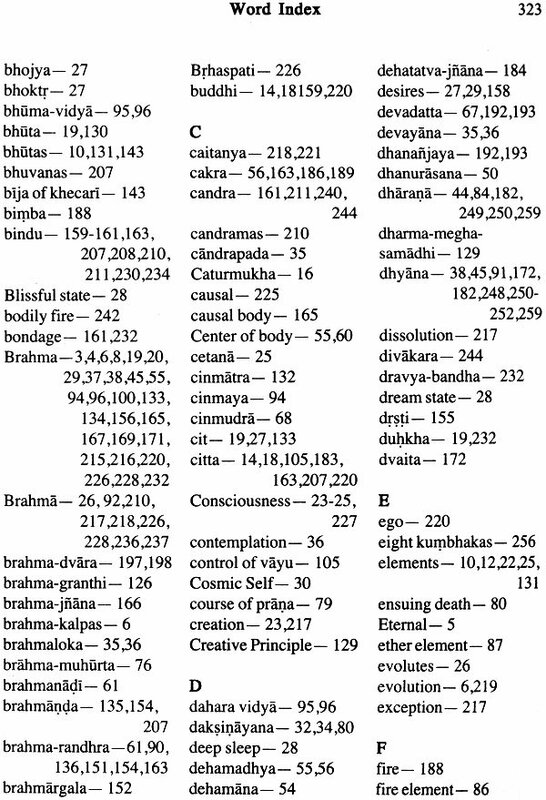 Isavasya, Kena, Katha, Prasna, Mundaka , Mandukya , Taittiriya, Aitareya, Chandogya, Brhadaranyaka, Brahma, Kaivalya, Jabala, Svetasvatara, Hamsa, Aruni, Garbha, Narayana, Paramahamsa, Amrtabindu , Amrtanada, Atharvasiras, Atharvasikha, Maitrayani. Kausitaki, Brhajjabala, Nrsimhatapani, Kalagnirudra, Maitreyi, Subala, Ksurika, Mantrika, Sarvasara, Niralamba, Sukarahasya, Vajrasucika, Tejobindu, Nadabindu, Dhyanabindu, Brahmavidya, Yogatattva, Atmaprabodha, Naradaparivrajaka, Trisikhibrahmana, Sita, Yogacudamani, Nirvana, Mandalabrahmana, Daksinamurti, Sarabha, Skanda, Mahanarayana, Advayataraka, Ramarahasya, Ramatapani, Vasudeva, Mudgala, Sandilya, Paingala, Bhiksu, Mahat, Sariraka, Yogasikha, Turiyatita , Sannyasa , Parama-hamsaparivrajaka , Aksamalika, Avyakta, Ekaksara, Annapurna, Surya, Aksi, Adhyatma, Kundika , Savitri , Atma, Pasupata , Parabrahma, Avadhuta , Tripuratapana , Devi, Tripura, Katha(rudra), Bhavana, Hrdaya, Yogakundalini, Bhasmajabala, Rudraksajabala, Ganapati, Darsana, Tarasara, Mahavakya, Pancabrahma, Pranagnihotra, Gopalatapana, Krsna, Yajnavalkya, Varaha, Sathyayani, Hayagriva, Dattatreya, Garuda, Kalisantarana, Jabali, Saubhagya, Sarasvatirahasya, Bahvrca and Muktika. 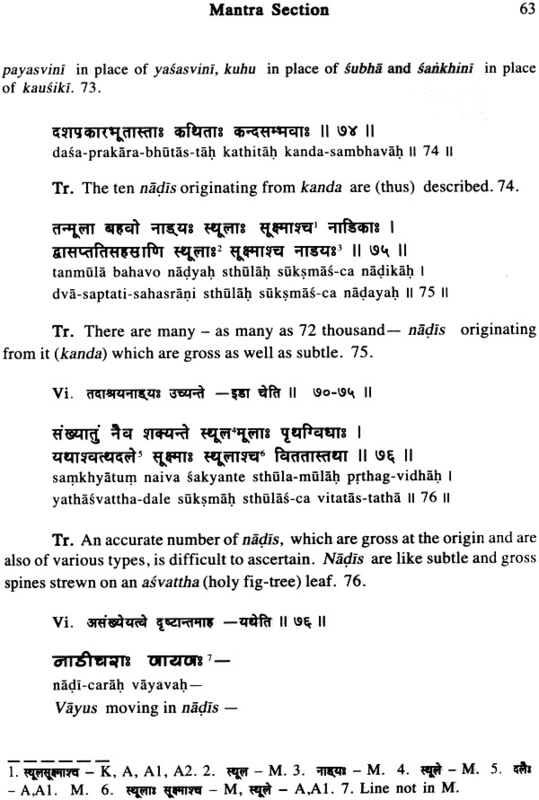 (I) Rg-veda (10 Upanisads)- Aitareya, Kausitaki, Nadabindu, Atmaprabodha. Nirvana, Mudgala, Akshamalika, Tripura, Saubhagya and Bahvrca. (IIa) Sukla-yajur-veda (19 Upanisads)- Isavasya, Brhadaranyaka, Jabala, Hamsa, Paramahamsa, Subala, Mantrika, Niralamba, Trisikhibrahmana, Mandalabrahmana, Advayataraka, Paingala, Bhiksu, Turiyatita, Adhyatma, Tarasara, Yajnavalkya, Satyayani, and Muktika. 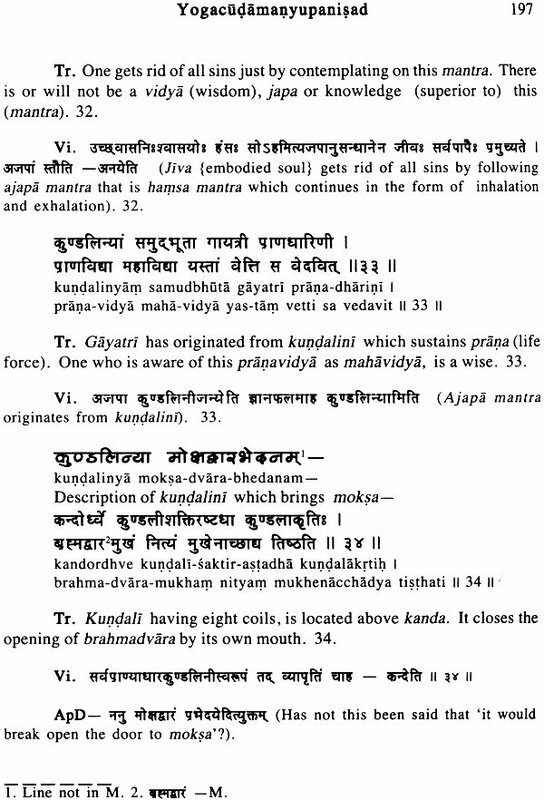 (lIb) Krsna-yajur-veda (32 Upanisads)- Kathavalli, Taittiriya, Brahma, Kaivalya, Svetasvatara, Garbha, Narayana, Amrtabindu, Amrtanada, Kalagnirudra, Ksurika, Sarvasara, Sukarahasya, Tejobindu, Dhyanabindu, Brahmavidya, Yogatattva, Daksinamurti, Skanda, Sariraka, Yogasikha, Ekaksara , Aksi , Avadhuta , Katharudra , Hrdaya , Yogakundalini, Pancabrahma, Pranagnihotra, Varaha, Kalisantarana and Sarasvatirahasya. (Ill) Samaveda (16 upanisads)- Kena, Chandogya, Aruni, Maitrayani , Maitreyi , Vajrasucika, Yogacudamani, Vasudeva , Mahat, Sannyasa, Vajra, Kundika, Savitri , Rudraksajabala, Darsana and Jabali. 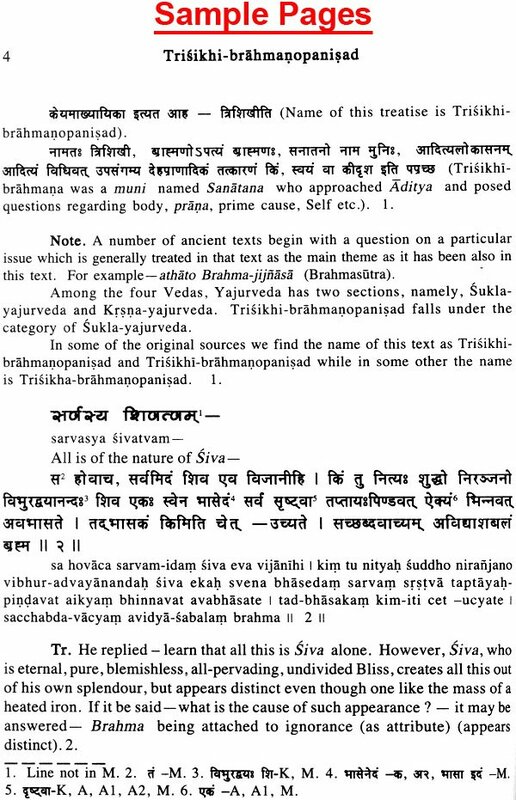 (IV) Atharvaveda (31 Upanisad)- Prana, Mundaka, Mandukya, Atharvasiras, Atharvasikha, Brhajjabala, Nrsimhatapani, Naradaparivrajaka, Sita, Sarabha, Mahanarayana, Ramarahasya, Ramatapani, Sandilya, Paramaham saparivrajaka, Annapurna, Surya, Atma, Pasupata, Parabrahma, Tripuratapana, Devi, Bhavana, Brahmajabala, Ganapati, Mahavakya, Gopalatapana, Krsna, Hayagriva, Dattatreya and Garuda. (Later on 72 additional Upanisads are also published thus making the total number to 180). "Each one of 108 Upanisads as listed above do not enjoy equal status and importance. A larger number of these Upanisads has been written much later or in the medieval age of the history. Most of these Upanisads of this list are products of last two to three hundred years" - (History of Indian Philosophy, Part II, pp.87, by Belvelkar and Ranade). Validity of this statement can be questioned. In the following paras we shall see that Narayana who hailed in the 14th century AD wrote commentaries on 108 Upanisads. 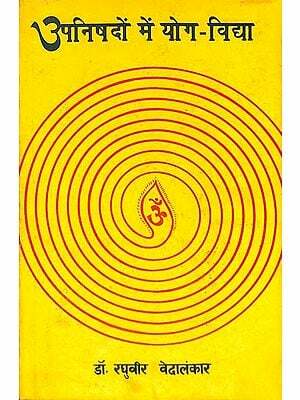 'Upanisadvakya Mahakosah' by Sri Gajanana Sambhu Sadhale published by Chaukhamba Vidyabhavan, Varanasi, 1996, takes citations covering 239 Upanisads. We can tentatively group the Upanisads into three broad groups according to their time of revealation.